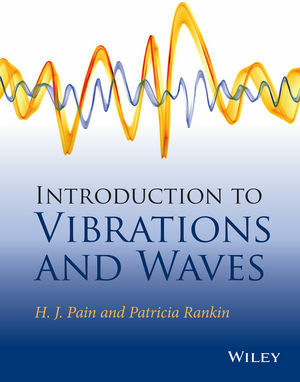 Based on the successful multi-edition book “The Physics of Vibrations and Waves” by John Pain, the authors carry over the simplicity and logic of the approach taken in the original first edition with its focus on the patterns underlying and connecting so many aspects of physical behavior, whilst bringing the subject up-to-date so it is relevant to teaching in the 21st century. The transmission of energy by wave propagation is a key concept that has applications in almost every branch of physics with transmitting mediums essentially acting as a continuum of coupled oscillators. The characterization of these simple oscillators in terms of three parameters related to the storage, exchange, and dissipation of energy forms the basis of this book. The text moves naturally on from a discussion of basic concepts such as damped oscillations, diffraction and interference to more advanced topics such as transmission lines and attenuation, wave guides, diffusion, Fourier series, and electromagnetic waves in dielectrics and conductors. Throughout the text the emphasis on the underlying principles helps readers to develop their physics insight as an aid to problem solving. This book provides undergraduate students of physics and engineering with the mathematical tools required for full mastery of the concepts. With worked examples presented throughout the text, as well as the Problem sets concluding each chapter, this textbook will enable students to develop their skills and measure their understanding of each topic step-by-step. A companion website is also available, which includes solutions to chapter problems and PowerPoint slides.